Windows Defender, for better or worse, is here to stay. Microsoft will keep making improvements to Windows 10, and further improve Windows Defender, too. With the Windows 10 Creators Update, Windows Defender gets a fresh look and feel, integrating the security software with the OS in the form of WDSC (Windows Defender Security Center). Let’s look at what’s new with Windows Defender and how you can get the most out of it with the Windows 10 Creators Update. The look and feel of the WDSC seem more in line with the Windows 10 line of apps rolled out over the last few years. 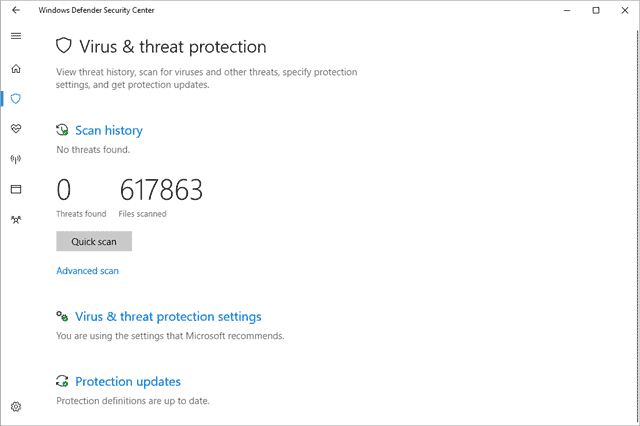 From the moment, you open the Windows Defender Security Center; you’re presented with options you need. From the Virus & thread protection window, you’ll be able to quick or advanced scan your system, change your settings and update to the latest virus and threat definitions. Note: Updates to the WDSC will still happen through Windows Update, too. 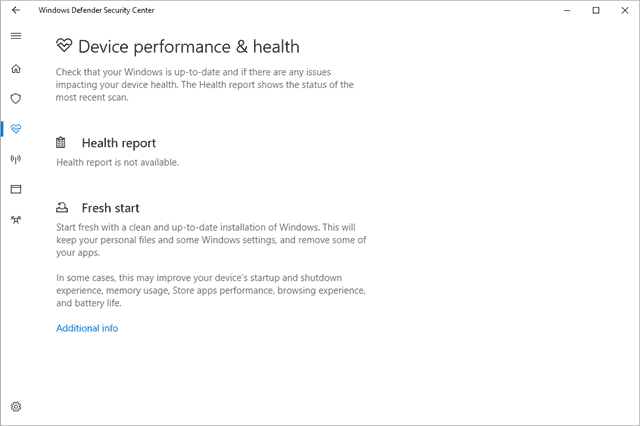 The device performance and health window allow you to see a brief report on the health of your system and issues you need to address. You’ll also be able to refresh Windows 10 from here. 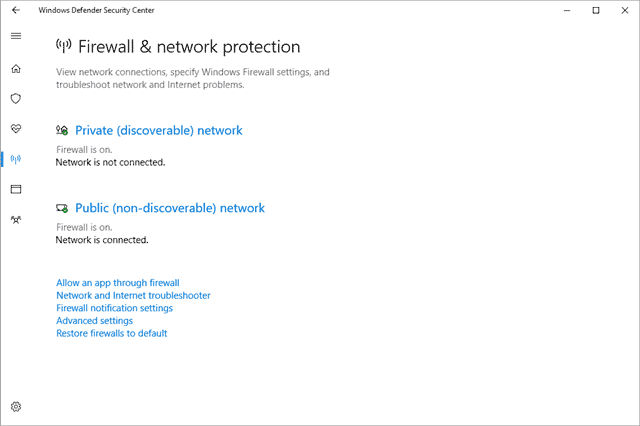 The firewall and network protection window allow you to see the private and public network status for your computer. You’ll be able to change firewall settings from here, too. 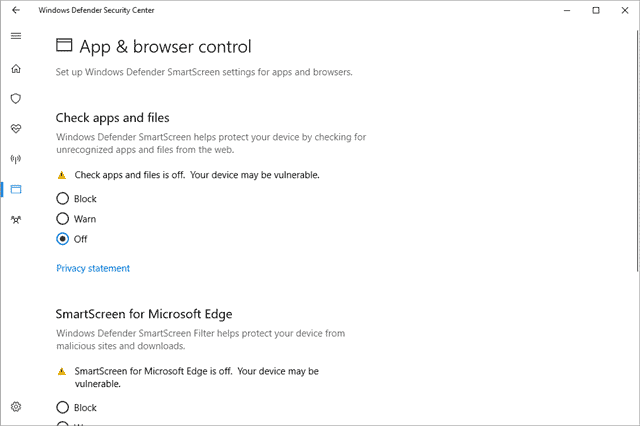 The app and browser control window will allow you to scan apps and programs for security threats before opened and installed; you’ll be able to tweak SmartScreen settings for Microsoft Edge as well from here. 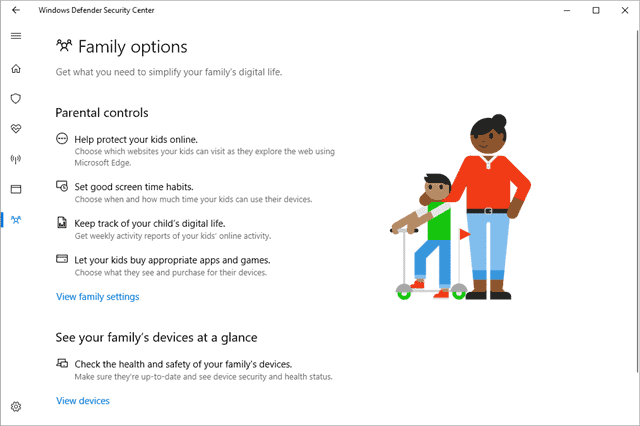 The family options window gives you access to Microsoft’s website to add family members, change permissions, and more for many users on your computer. The improvements to Windows Defender morphing into the WDSC are a step in the right direction as Microsoft looks to be your one and only anti-virus protection. While Windows 10 has turned the Windows Defender into a full-fledged anti-virus solution, it’s not perfect for all users. Whether you only use Windows Defender or third-party anti-virus, it’s important to protect your PC and everybody who uses it from threats online the best way possible. Windows Defender Security Center is one such option to protect your PC. Whether it’s the best is up to you.